This relationship between an ecommerce site's speed and its conversion rate (or sales) has been described in dozens of studies both recent and venerable. One of the best known examples comes from a 2012 WalMart Labs presentation. On the next to last slide, the presenters show several key insights from their site performance findings, including these two amazing data points. Every one second improvement in page speed equals up to a two percent increase in conversion rate. A 100-millisecond improvement in page load time can increase incremental revenue by one percent. If these two data points held true for your ecommerce business, how many more sales and how much more profit could your company generate with even moderate improvements in page performance? Another often cited example of how page performance can impact sales comes from office supply retailer, Staples. "Using real user data, Staples saw an early relationship between load time and conversions," wrote Tammy Everts in a 2015 book, "Time Is Money: The Business Value of Web Performance." "Staples developed and implemented an optimization process...as a result of these efforts, the team shaved a full second off of Staples.com's home page median load time, improving the site's conversion rate by roughly 10 percent." While this data is now a few years old, it is unlikely that shoppers have become more patient with websites or that suddenly there is no longer a correlation between how quickly a retail site loads and how likely a shopper is to make a purchase. It is also worth mentioning that even now Staples has one of the fastest-loading retail sites on the internet, according to a report from Digital Commerce 360. Among large enterprise ecommerce sites, only Apple.com's online store loads faster on average. Page load times may also explain an apparent gap between mobile usage and mobile ecommerce purchases. About half of American consumers will use a mobile device to browse a retail website, according to a report from Akamai's Soasta business unit. But only about 22 percent of those consumers — or about one in five — will make a purchase from their smartphone or tablet. "There are many reasons why shoppers use their phones in the purchase process — from consulting reviews to in-store price checking," the Akamai report said. "Mobile is a critical tool in the browsing process. To turn more of these browsers into shoppers, retailers should examine the barriers to completing transactions on their mobile sites." 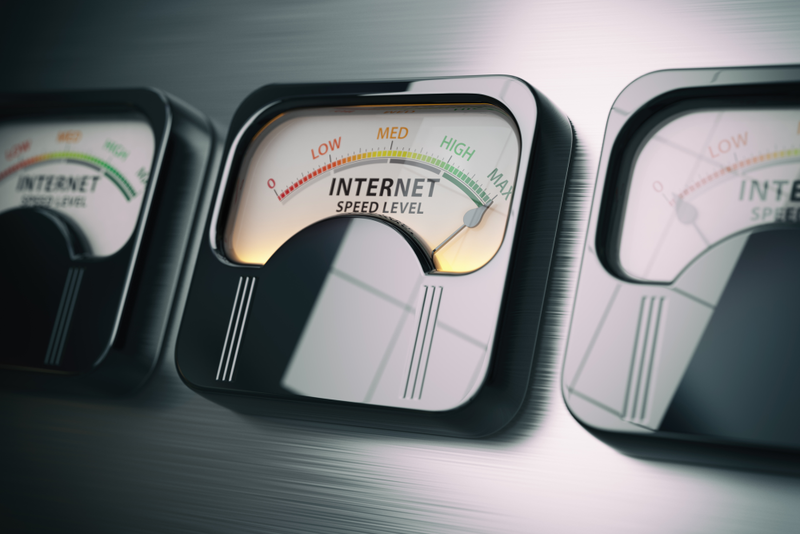 One of the likely barriers is, not surprisingly, page load times or site performance. The Akamai report found mobile pages that converted into a sale loaded in about 3.7 seconds on average, while non-converting pages took an average of 4.3 seconds to load. The faster a page loads on a mobile device the more likely it was to result in a sale. For example, pages that loaded in 2.7 seconds on a mobile device had a conversation rate of 3.3 percent. The opposite also seems to be true. 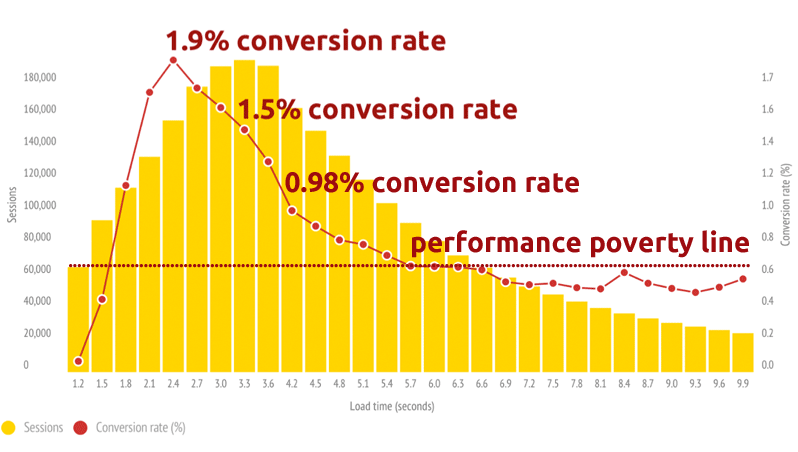 Slow loading pages dramatically decrease conversion rate. On a smartphone, a 100-millisecond delay, again according to Akamai, could reduce a site's conversion rate 7 percent. With a little rounding, you could say that a tenth of a second delay kills about a tenth of your store's online sales from the mobile channel. Many factors can contribute to how quickly your online store's pages load, and, frankly, the majority of these factors will be something you can control. If you test, monitor user data, and make changes in these areas, you should be able to dramatically improve page load times. Some factors that contribute to site performance are, however, outside of your control in most cases. These may include your ecommerce platform's database structure, the infrastructure used to host your site, or even the efficiency of the platform's code. To avoid these issues, choose a SaaS-based enterprise ecommerce platform built for speed. You want one that responds almost immediately to client requests. For example, 3dcart's Enterprise Edition will consistently respond in 145 milliseconds or less even in the face of significant site traffic reaching 500,000 requests per minute. But what if you're not in a position to opt for the Enterprise Edition right now? There are still quite a few options which can make a stark difference in the loading time of your shop with little cost or complexity. For example, if you're hosting your own ecommerce website, on a shared hosting server, you're at a point where you're sharing server resources with other users on the same account. This means that your price will be quite cheap, but your performance may suffer, particularly during peak times. For small businesses getting started where money is tight, shared hosting is a good option, since traffic is still ramping up slowly. As your business starts to grow, there are a number of options you can take which will still keep you in the relatively-cheap bracket but still give you a nice boost in loading times. For example, if the hosting company you are using offers a number of shared hosting tiers, opt for the highest shared plan, which by default, will enable more resources to be dedicated to your shop, and hence better performance. In the case of self-hosted open source ecommerce platforms, the best option would be to upgrade to a virtual private server (or VPS). Sites such as CollectiveRay.com ) explain how a VPS will have resources which will be dedicated specifically to your account, which automatically mean better loading times. You could also get the hosting company to enable a number of speed optimizations on your site which would boost the performance to an even higher point (such as enabling the latest versions of PHP or database software and such technologies as HTTP2), all of which can make your ecommerce shop faster with little to no effort on your end.